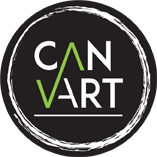 At Canvart we have done our best to make the payment process as flexible as possible. Once your order is confirmed, we will email you an invoice with our details on it. This is by far the most popular and easiest way to pay, and is our preference. We provide our bank account details and a reference number on your invoice. Although we prefer direct credit, we can also accept credit card payments with Visa, Mastercard and AMEX. Please do not email your credit card details to us, we will instead create a secure link for you. For international customers, we can also use PayPal. Our preferred method of payment for our international customers is PayPal.